Shell and tube heat exchangers are very commonly used as preferred heat transfer equipment in the process industry. This type of heat exchangers consists of metal tubes passing through another metal enclosure, which is referred to as the 'shell'. So typically we have a fluid on shell side and anther fluid on the tube side. Heat transfer between the two fluids occurs across the tube walls. In general, it is quite easy to have different configurations of the shell and tube arrangement to create many more subtypes within this broad category of heat exchangers. This versatility is one of the reasons why shell and tube exchangers are so popular among process design engineers. Design of shell and tube exchangers is commonly governed by the standards created by TEMA (Tubular Exchangers Manufacturers Association). Following table from the TEMA standards explains the different possible configurations for each of the 3 broad parts. Process fluid which is to be either heated up or cooled down in the exchanger, is commonly referred to as the 'service'. The service may be single phase (either gas or liquid) or two-phase (mixture of gas and liquid). On the other hand one of the fluids (shell or tube side) can be a non process fluid, which is only used for heating or cooling the process fluid. Such stream is known as a 'utility'. Utility can also be either single phase or two phase. Condenser: on one side we have two phase flow of with gas at its dew point. This gas is condensed using a cold utility on the other side such air or cold water. Chiller: one stream a process fluid being condensed at sub-atmospheric temperatures and the other a boiling refrigerant or process stream. Reboiler: one stream a bottoms stream from a distillation column and the other a hot utility (steam or hot oil) or a process stream. Thermal design of the heat exchanger is done to determine the overall heat transfer area required and then to decide the size of the exchanger in terms of shell ID, number tubes and their configuration etc. You must be careful to distinguish between the local heat transfer coefficients on shell or tube side AND the overall heat transfer coefficient. Local heat transfer coefficients are valid only locally and they change along the path of the exchanger. 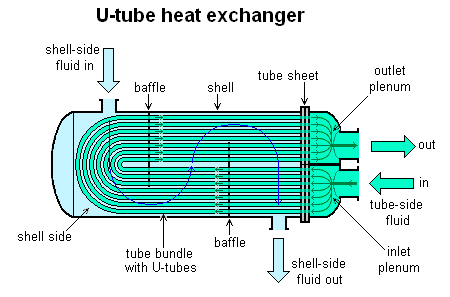 Whereas overall heat transfer coefficient is defined for the whole exchanger, it is independent of the fluid path in the exchanger. Local coefficients must be multiplied with local temperature difference to get the local heat transfer. Overall heat transfer coefficient is multiplied by LMTD to give you the overall heat transfer rate. This equation for LMTD is widely used by process design engineers to get the average temperature difference for heat exchanger sizing calculations. But sometimes this LMTD equation can also fail. That happens when the temperature difference is constand throughout the length of the heat exchanger. You must be careful in such cases to directly use that constant temperature difference value, instead of getting trapped in the formula that is prone to fail. Thermal design for a shell & tube exchanger is done by the process design engineers, using a process simulation software like HYSYS. Following the process design, mechanical design engineers can refer to applicable design standards to finalize the structural details of the heat exchanger. Quick LMTD calculator for shell & tube exchangers. Finally, only designing and installing a heat exchanger is not enough, process engineer must also carefully design the piping and instrumentation around a shell & tube heat exchanger. 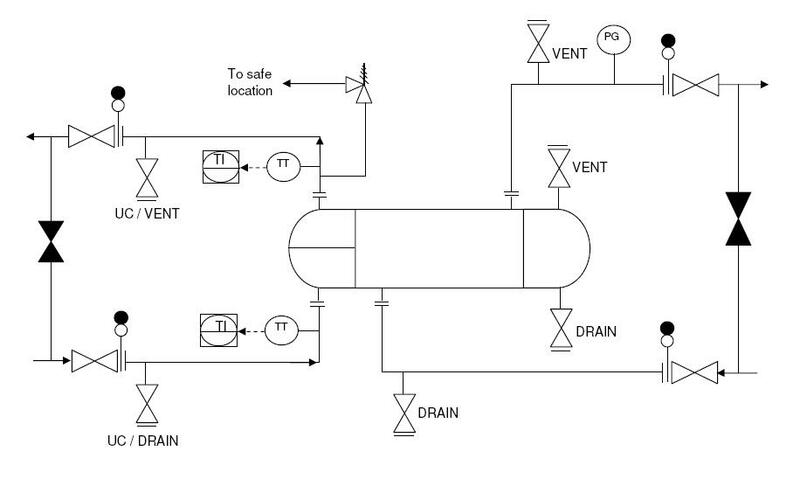 Here is a typical piping and instrumentation diagram (P&ID) for a heat exchangers. It will give you useful pointers for designing a heat exchanger system and also for the process control, safety devices, piping and instrumentation around that heat exchanger. And when you are actually creating a heat exchanger P&ID, you will find these typical heat exchanger P&ID symbols quite handy. Along with the P&ID Another important document for the design of heat exchanger system is - the datasheet. The preliminary datasheet prepared by the process design engineer is normally called the 'process datasheet'. Then the equipment design engineer ads more details of the structure of the exchanger to create the 'mechanical datasheet' or equipment datasheet. 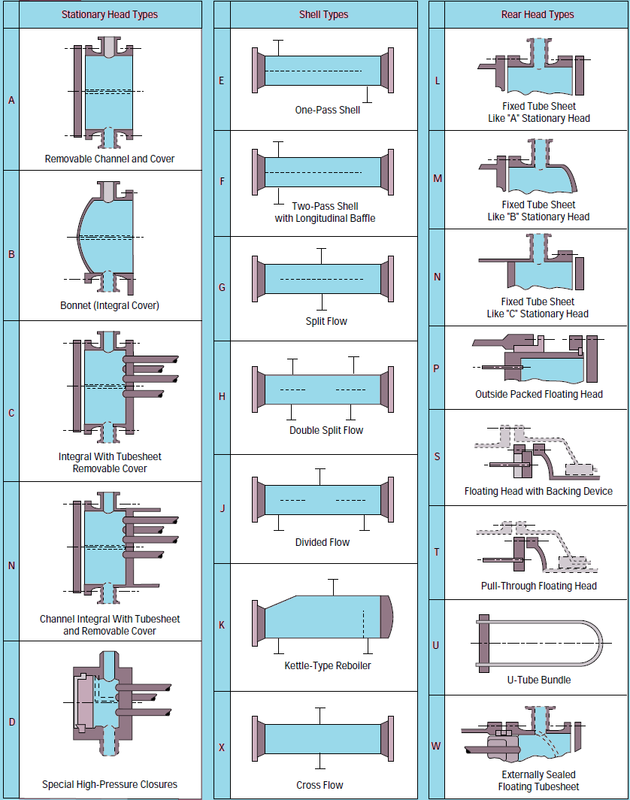 Here is a typical datasheet for a shell & tube heat exchanger. You can use this template to create a new datasheet for your project or simply to understand the different parameters that are important to the design of a shell and tube exchanger.